What is included in comprehensive health insurance? Home / FAQ / What is included in comprehensive health insurance? Unlike other health insurance policies such as high deductible and cancer care supplemental plans, comprehensive health insurance pays for a wide range of medical services and doctor visits. 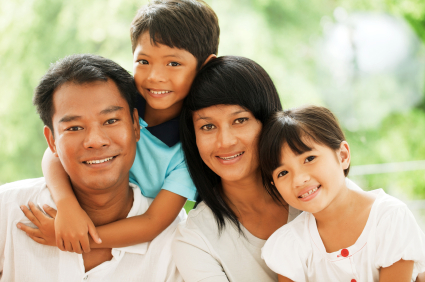 Comprehensive health insurance is coverage for the average person, with or without a family. Compare comprehensive health insurance quotes right on this site! Just type your zip code into the box above to get started. When people think of health insurance, they think of coverage for everyday medical needs, as well as emergency care. That’s what comprehensive coverage provides. Depending on the comprehensive plan you choose, you will have some level of protection and reimbursement for healthcare services ranging from annual checkups to sick visits, and laboratory testing to immunizations. Comprehensive health insurance is available as part of an employer-provided group plan, or direct from an insurance company as an individual plan. If you have a choice of plans, you’ll want to compare the deductibles, co-pays, and premium costs to figure out which ones best fits your needs, and the needs of your dependents. You might also have the chance to choose an HMO, PPO, or POS type of plan. If I do have a choice of comprehensive plans, which one should I choose? Most of the time, if you have an employer-sponsored health insurance plan; your employer will choose the type of plan. However, some companies give their employees a chance to choose from a few different plans and coverage levels. Additionally, if you’re purchasing an individual comprehensive health insurance plan, then you’ll need to know the differences between them. An HMO, or Health Maintenance Organization, is typically the least expensive of the comprehensive health insurance options. That’s because it’s also the least flexible, most basic, type of coverage of the three. With an HMO, you have a choice of in-network doctors to pick as your primary care provider, and then you have to get that doctor to give you referrals for anyone else you want to see. The HMO also has guidelines as to whether a service or procedure is necessary healthcare coverage. A PPO, which stands for Preferred Provider Organization, offers more choice than an HMO, but the flexibility comes with a higher price tag. If you have a PPO policy, you’ll still have to pick from a network of physicians and other healthcare providers, but you don’t necessarily have to designate one specific primary care doctor. You can visit any of the in-network providers without a referral and insurance will pay all, or most, of the cost of the visit. Lastly, a POS, or Point of Service plan, is very much a combination of the HMO and PPO policies. This is because the POS policy offers more flexibility than an HMO, at a typically lower cost than a PPO. With a PPO, you do need to choose a primary care practitioner, and that doctor will need to make any referrals you need. However, the referrals may be in-network or out of the network. The difference is that you pay less for staying with an in-network practitioner. All three of these plans offer some type of combination of premiums and co-pays, with a deductible if you choose to go out of network. Most of the time you must also pay out-of-pocket when you go out of network, and then send in a claim to be reimbursed by your health insurance company. Reimbursement percentages vary depending upon your plan, but usually top out at 80%. You will not get full reimbursement for going out of your plan’s network. Is prescription drug coverage included in a comprehensive plan? We always recommend that you read any policy terms carefully before signing, and this would be something important to ask before you do accept and sign for a health insurance policy. However, comprehensive health insurance does usually include some form of prescription coverage. Once you purchase your health insurance policy, you will receive an insurance card that also lists your prescription drug benefits. You might receive two cards, one for the health insurance coverage and one for the prescription drug plan. Make sure you know what your prescription plan covers, and how much you’ll need to pay on your own for prescriptions and generic drug options. Health insurers pay less for generic medicine and will substitute brand-name prescriptions for cheaper generics whenever they can. You, too, will pay less for generic medicine. If you prefer brand-name prescriptions, you’ll have to ask your doctor to state that specifically on your prescription slip. Does a comprehensive health insurance plan include dental and vision coverage? Again, this can vary from plan to plan, so read all policy details carefully. Usually, comprehensive health insurance does not include dental or vision. Instead, you, or your employer, can purchase this as a separate insurance option. There are specific health insurance companies that offer dental coverage, such as Delta Dental, and vision insurance, such as VSP. Start shopping for health insurance rates right now by putting your zip code into the box below!